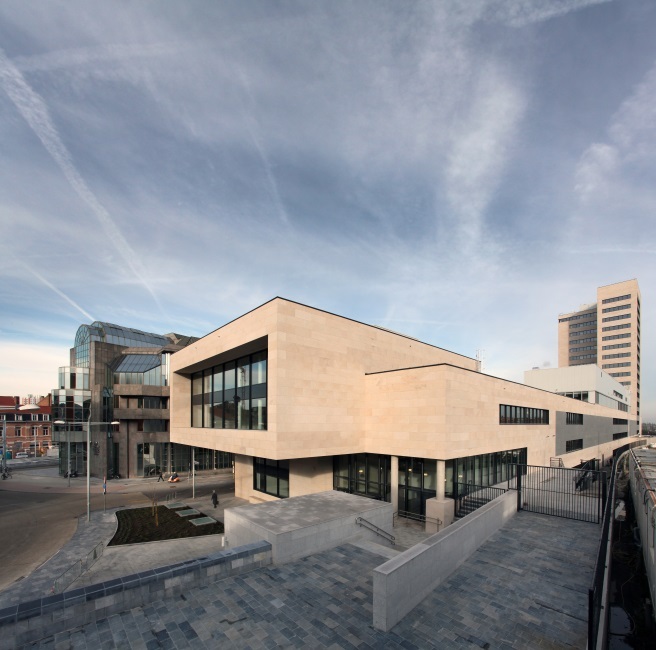 The new Flemish Administrative Centre (VAC) in Leuven is adjacent to the railway line and station and forms a new urban landmark for the city. It is the final component within the redevelopment plan for the station’s north side and comprises two main buildings: a 60-metre tower and a 200-metre long, low-rise stepped building. 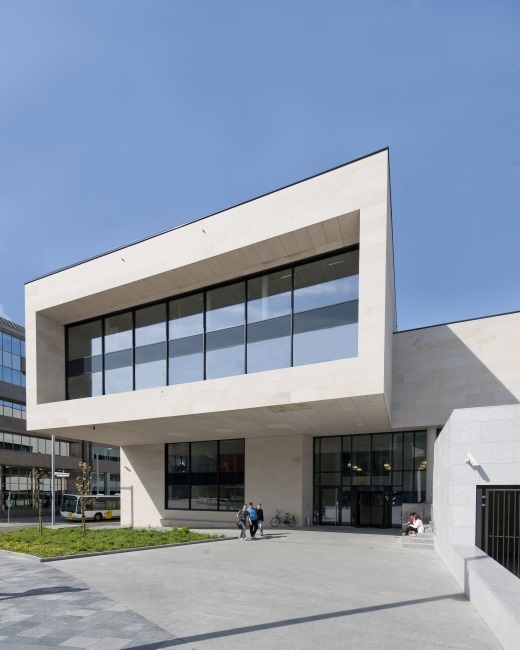 The façade is clad in natural stone, the colour and texture of which harmonises with the surrounding buildings. 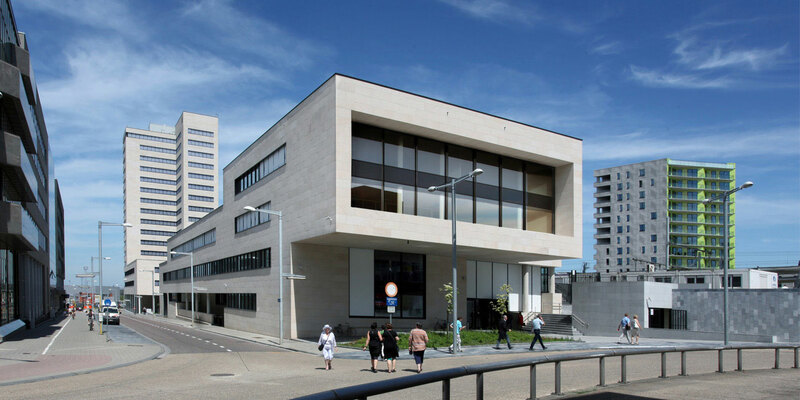 The dynamic façades and the solid walls also reduce noise nuisance from the trains. 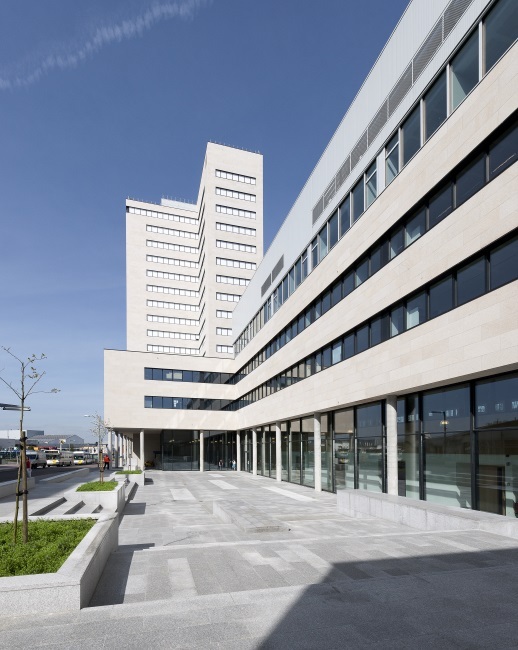 The new administrative centre is a model of sustainability and incorporates many energy-saving technologies, including free-cooling and geothermal wells that significantly reduce the need for cooling and heating during summer and winter. 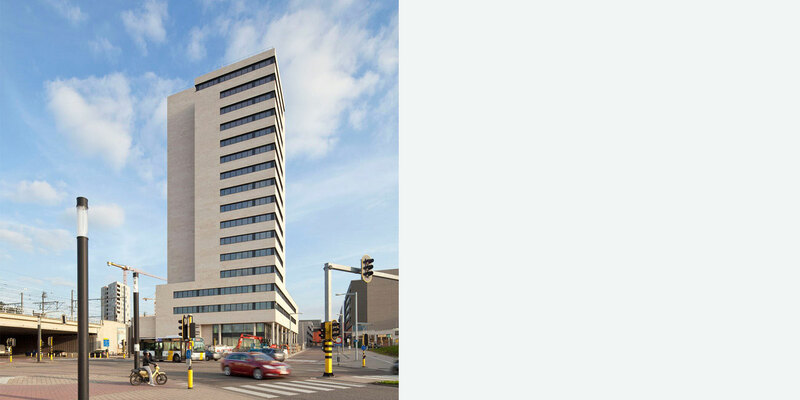 When completed in 2010, it was the first office building to achieve a 4-star (maximum) certificate from the Flemish government for meeting the highest performance standards elaborated in the Technical Requirements for Office Buildings handbook.